What can one say about a record that was pivotal in one's collecting experience? Words fail. For many of my generation, it was that first LP by the Beatles, or by the Grateful Dead or Jimi Hendrix. For me it was "New York Contemporary 5, Vol. 2." The beat of a different drummer, for sure. It was on one of my first trips to New York City that I found this gem. I was a freshman at an upstate college, and a friend who came from the Bronx invited me home for the weekend. It was a five-hour ride to parents' digs, and I remember they lived in a featureless grey highrise right off the Major Deegan, but I was overwhelmed by the vastness of the urban landscape and by the endless activity contained within it. Very exciting! looked around the time I saw them. We went out that Saturday night to a small club in Midtown to see guitarist Jim Hall and bassist Ron Carter. They had just formed a duo and I'd read they were planning to make a record. 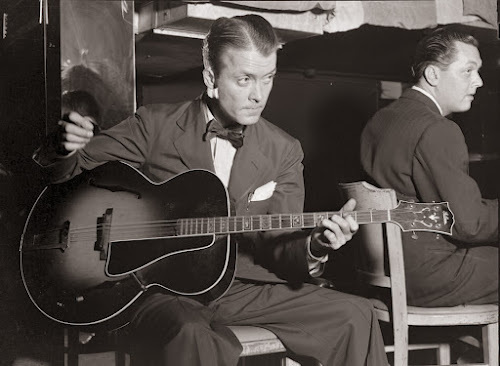 As a budding guitar player myself, I was eager to see as many jazz plectrumists as I could, and Hall – who was almost a myth at that time because he was so obscure – was at the top on my list. The audience for the show was small – only a dozen or so patrons for what felt like a private performance. Hall and Carter said not a word during the entire set, only glancing at each other occasionally and then falling back into deep concentration as the tunes evolved. 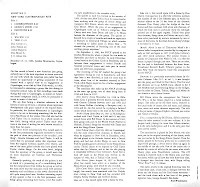 I was new to jazz and didn't recognize any of pieces they played, but I found the experience intensely cerebral and, truth be told, a trifle boring. A pal of my friend went with us to the show and he was a real jazz enthusiast. 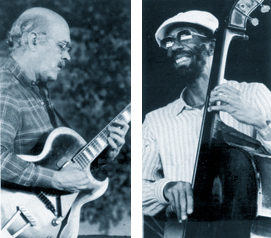 He later demonstrated on piano some of the things Jim Hall had played. That really amazed me. It also told me there were things in the music that I had yet to hear. The next morning we went back into the city to check out the record stores. As I thumbed through the jazz stacks of one of the hipper Midtown disceries (I've forgotten its name, unfortunately), a striking cover caught my eye (that's how my purchases frequently happened back in the vinyl heyday). 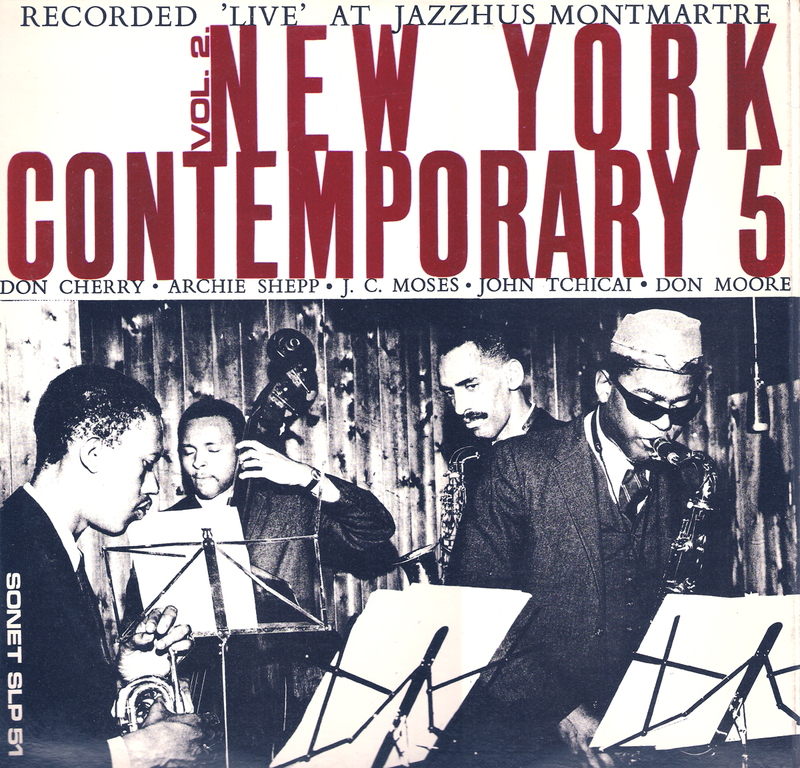 It featured a grainy, black-and-white photo of a quartet of intense young musicians in suits and ties, obviously in mid-performance, under huge block lettering that proclaimed the "New York Contemporary 5." 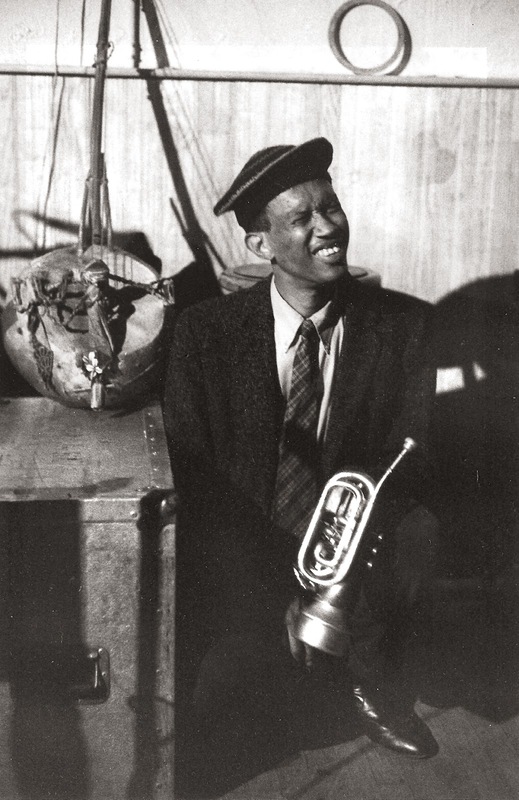 I recognized Don Cherry's name – he 'd been with Ornette Coleman – but the rest of the players were new to me. On the back it said they played a tune by Ornette and another by Thelonious Monk. And the album was an import. I had to have it! Back at the apartment, I put the LP on my friend's parents' massive console stereo and cranked it up (they were at work, fortunately). What came out of the speakers was wild, jagged, herky-jerky music, unlike anything I'd ever heard. Music that sounded like the electric blues I loved, but with an energy that was both visceral and intellectual. I played it over and over until my friend finally pulled the plug. 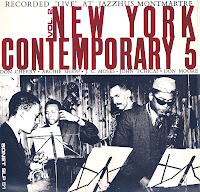 I now know that in that recording by the New York Contemporary 5 I heard what I'd missed the night before during Jim Hall and Ron Carter's set. I heard the sound that makes the blues so compelling – the "voice." Not actual singing, but the sound of human emotion with all its randomness, its moods, its braggadocio, its aggression, love and sadness. Hall and Carter were just too darn tidy. The music of Cherry, Shepp and Tchicai was anything but neat – it lived and breathed. I was hooked for life. So here is that pivotal recording. For some reason, Vol. 1 of the Monmartre date was issued Stateside on Storyville and then on Delmark, while Vol. 2 remained available only as a Sonet import. As always, these files were ripped from the original vinyl and, in this case, had no cleaning of the sound whatsoever. Don Cherry, tp; John Tchicai, as; Archie Shepp, ts; Don Moore, b; J.C. Moses, d.
When I started this blog a while back, I never thought I'd be posting so much moldy fig material! But one thing leads to another, and one rip inspires a second (and a third). 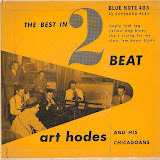 So here's another Chicago jazz offering. My partial excuse is that this upload comes as a response to a request from the good Sir Baron. 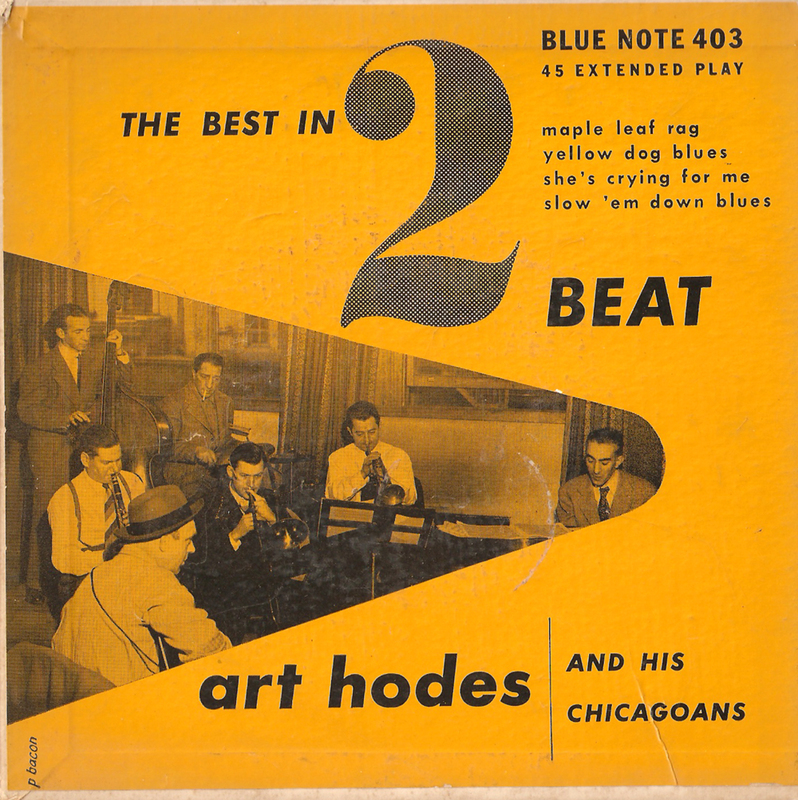 Baron saw the cover of the Hodes Blue Note EP in the collection video and asked if I could add it to Gems. I'm more than glad to do so, but I felt its paltry four tunes weren't enough to merit the full CD treatment. So I looked through the stacks and came up with a second Chicago jazz EP, one that fits perfectly with Art's session. It's got Eddie Condon, Gene Krupa, Jess Stacy, Jack Teagarden, Boyce Brown, Max Kaminsky and a raft of other trad blowers. Not bad stuff, either. So here they are. The rips come from the original vinyl, of course, with a slight cleaning of the sound. A caveat regarding "Reincarnation" and "Nagasaki", though: an audible scratch runs through a good portion of each tune. Not terrible, but you can hear it. Also, there's no back cover image for the Hodes disc because it is completely blank. I got to thinking about recorded sound and collecting albums recently, and it occurred to me that music these days is atomic. By that I mean each musical performance, each piece or tune, exists as an entity unto itself regardless of the circumstances under which it was created. Each piece is a single atom, if you will, in a universe of like musical atoms, isolated from its fellows by today's technology. That technology is, of course, the same we use here on Gems – the Internet and file-sharing. 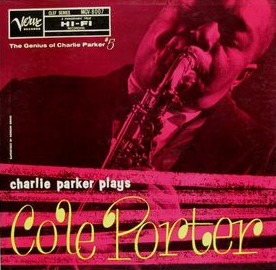 Take Charlie Parker's album of Cole Porter tunes, recorded for Verve in 1954. The tunes on that record were meant, I assume, to work together as a whole, as Bird's interpretation of the music of one of America's great song composers. But for most listeners today, who get their Charlie Parker via iTunes or other less orthodox digital sites, that context is lost. 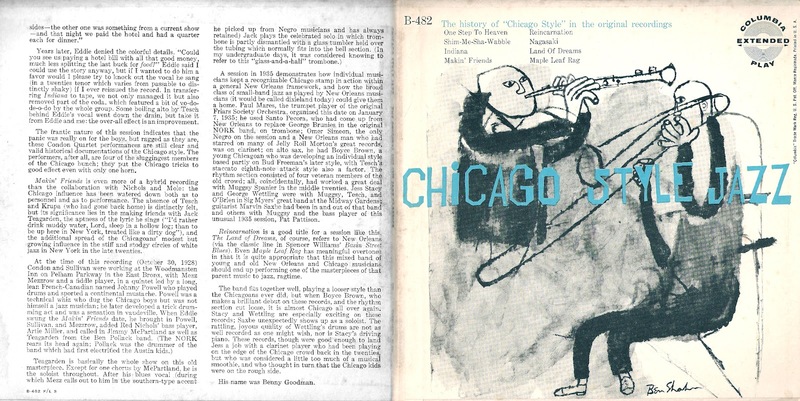 They type in "Charlie Parker" and a zillion files come up, everything from Bird's tragic "Loverman" on Dial to stuff by Supersax, and they cherry-pick the tunes of interest, download them and then listen to them as random iPod selections. Great jazz, yes, but divorced from any historical or organizing context. Atoms, see? For me, and I'm guessing for the tens of visitors to this blog, the context is more than important. It's essential. That's why I bother to upload album covers and whole records even though a tune or two might be a dud, and that's why you take the time to download them, burn CDs, print out covers, etc. The music is the main thing, but knowing where it comes from, and who made it, and why and when, simply enhances the experience of listening. But ... maybe this is all changing? It seems like everyday more and more data are uploaded to the web. 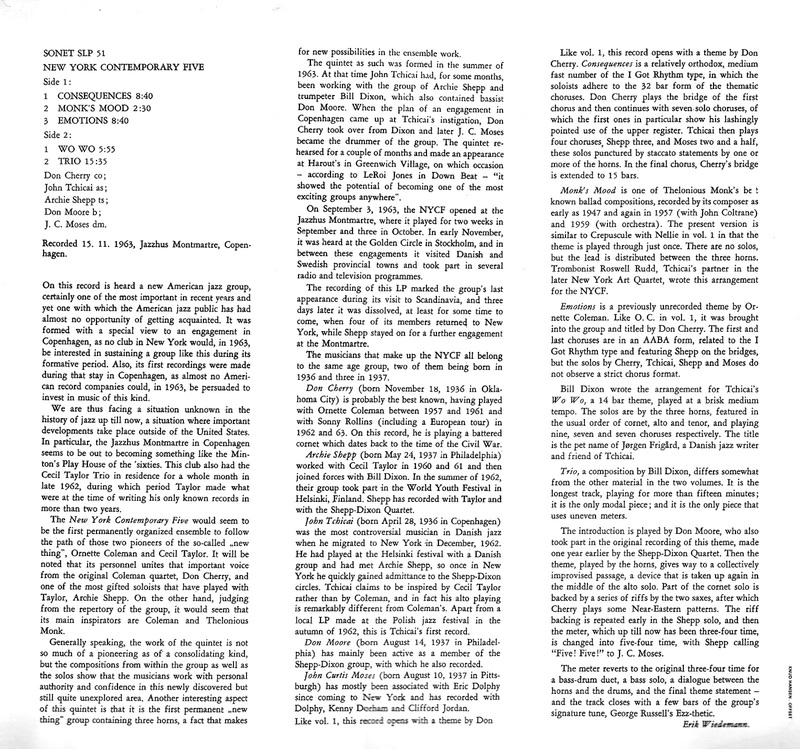 The Jazz Discography Project is doing an marvelous job building an Internet-based catalog of work by (thus far) major jazz artists, and nearly every rare and long-out-of-print record I can think of is available somewhere on the web, either commercially or through fan sites like Gems. So, pretty soon – maybe within our lifetimes – perhaps all of jazz's recorded output will reside in the Cloud, replete with detailed discographical information. That would be extraordinary! And it might mean that collections like mine, and like all of yours, will become outmoded, as useless as the home encyclopaedia now is. An interesting thought, eh? But to celebrate collecting, I put together a brief video about my magnificent obsession. Here is a good portion of my record collection, sans 78s, tapes and CDs. I had to Photoshop together all the shelves because they're too heavy to house in a single room (a potential floor collapse!). The covers are just some I grabbed off the 10- and 7-incher shelf – a good size for my little scanner – and the tune is by the marvelous Betty Bebop. Enjoy, and happy collecting!